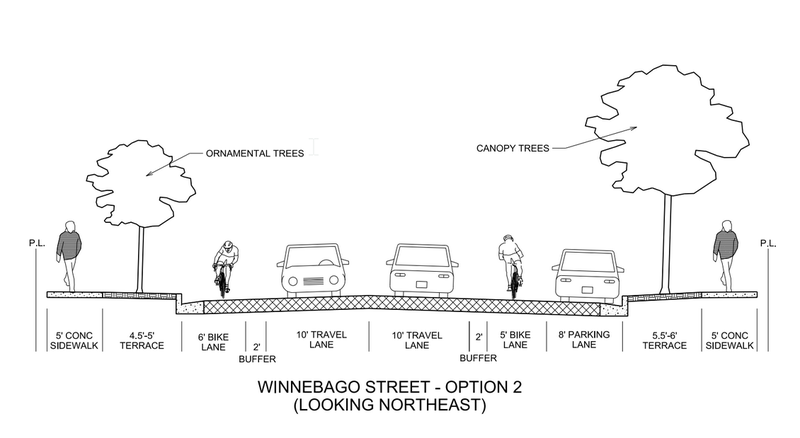 A wider terrace on southeast side of the street would provide space for bigger, canopy-type street trees. Please consider coming to the PBMVC meeting on Tuesday and voicing your support for Option #2. For anyone unable to attend, please send an email of support for the all ages and abilities design alternative to the members of the PBMVC, city engineering, and Alder Marsha Rummel before the Tuesday meeting.